The Oslo Tramway is a 131.4-kilometre (81.6 m) network which consists of six lines with 99 stops and has a daily ridership of 110,000. It is operated by Oslo Sporvognsdrift, a subsidiary of the municipal owned Kollektivtransportproduksjon who maintain the track and 72 trams on contracts with the public transport authority Ruter. 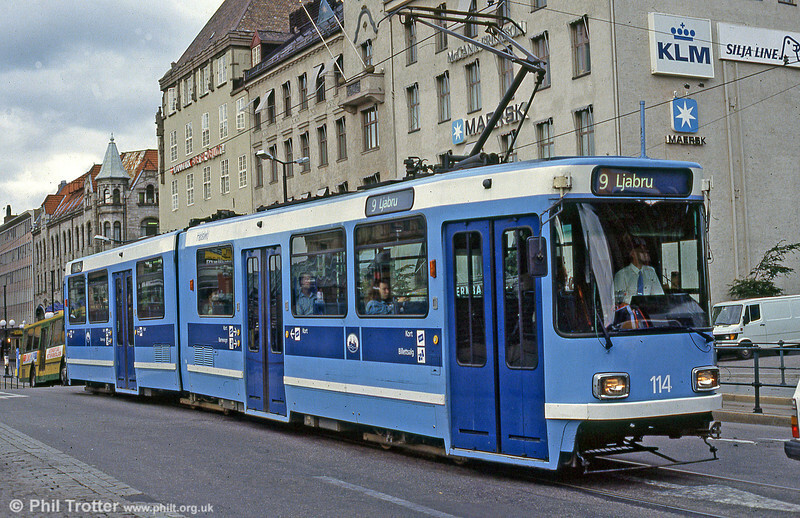 Oslo 114 at Jernbanetorget, 8th August 1991.